It’s starting to get a little frustrating when people ask whether or not they should get an eReader. Yes. If sales are any indication, whether you opt for a Kindle, Nook, or even your iPhone, ebooks are officially the present. The Association of American Publishers is reporting that ebooks outsold their print counterparts in February, with sales coming out to more than $90 million. That comes a month after Amazon reported that Kindle ebooks were outdoing paperbacks. Paperbacks sold $81.2 million last month. It should be noted, however, that the report isn’t definite. Andi Sporkin, spokeswoman for the AAP, told CNN that the findings don’t account for every book sold as some publishers may choose to not submit their numbers. What’s more, they do admit that the numbers are coming out of the Christmas season. However, 202% growth in any medium can be used as a barometer for what’s going on right now. Distracted driving is a serious problem, so lots of people are coming up with ways to stop you from using your phone while driving. The latest is Drive First for Sprint Android phones, which senses when the car is moving and locks down most of phone’s functions. Luckily it doesn’t completely disable everything. Up to three apps like GPS for example will still run, and three contacts (read parents) can still reach you while you’re on the move. Other calls and texts will be automatically redirected to voice mail, along with some kind of message about how busy you are driving. My problem with this approach is how does the phone determine that you’re not riding in the passenger seat, or sitting on a bus? Until they can find a way to figure that out, I think most people will discover that this app is little more than an exercise in frustration. Drive First will be available in Q3 for $2 a month. Hey, nobody said being safe would be free. The word “meltdown” defines our worst fears about nuclear reactors, and with good reason: without complex and redundant cooling systems, reactors can run out of control, generating so much heat that they melt their own fuel, releasing massive amounts of radioactivity in the process. But a new generation of reactors promises to be much safer, even to the point where a meltdown is a physical impossibility. Generally, nuclear power plants rely on redundant safety systems, both active and passive, to prevent a meltdown in case of an accident like an earthquake or tsunami. Japan’s stricken Fukushima Daiichi nuclear plant is what’s called a light water reactor, or specifically a boiling water reactor, because the heat generated in the core of the reactor is used to boil water into steam, powering a turbine to generate electricity. Immediately after the earthquake, the reactor successfully shut down, meaning that control rods were inserted into the core to disrupt the nuclear reactions directly. However, there’s still a lot of heat contained in the core, which is still boiling water and making steam, which raises pressure in the reactor and makes things dangerous. To keep itself cool, the reactor depends on a continuous supply of water, and the problem is that the pumps to supply this water haven’t been functioning. This means that the reactor gets hotter, more water turns into steam, and the pressure inside increases (making it more difficult to pump water in), and eventually enough water gets turned into steam that the fuel rods themselves get exposed to air, which can cause them to melt. This may be what is currently happening at Fukushima Daiichi. The root of the problem at Fukushima Daiichi is that the reactor relies heavily on active safety systems, meaning that the safety systems don’t work well (or at all) without things like pumps and generators, which themselves rely on external power. More modern reactors (Fukushima Daiichi was built in 1970) try to incorporate passive safety systems. For example, some reactors suspend their control rods over the core on electromagnets with giant springs behind them, ensuring that the rods will shut the core down the instant power is lost. Other reactors have backup cooling systems that are just giant tanks of water on towers, and explosive valves can be used to pump water into the core using gravity. Even with passive safety systems, though, accidents can still cause reactors to overheat to the point of meltdown, especially in sustained disaster conditions like those in Japan. The next generation of nuclear reactors, called Gen IV reactors, promise to be significantly safer and more efficient while producing less hazardous waste than the current generation, and one design, called a pebble bed reactor, may even be incapable of having a meltdown at all. A pebble bed reactor (or PBR) doesn’t use long rods of fuel pellets like most reactors. Instead, it uses a bunch of fuel “pebbles,” which come in varying sizes, from slightly smaller than tennis balls down to marbles. The pebbles are made primarily of graphite, and contain up to nine grams of uranium dispersed in sand-size grains throughout the pebble. To start a reaction, all you have to do is pile a bunch of pebbles together in a container until you get a critical mass of them, and they begin heating up. The core of a PBR contains about 380,000 pebbles, which cycle continuously in and out of the reactor. Every 30 seconds, a pebble drops out of the reactor and is inspected for damage and to make sure it’s still got enough fuel left inside. If so, it’s put back in the cycle, and if not, it’s pulled out and a fresh one is put in its place. On average, a single pebble will cycle through the reactor 10 or 15 times over a few years before being removed. While a PBR is operating, helium is pumped through the spaces between the pebbles to carry away heat. The helium then flows through a turbine, and that’s where the electricity comes from. So far, a PBR isn’t that different from a conventional nuclear reactor: you put fuel in, it heats up, and you use that heat to produce electricity. What makes a PBR potentially unique, though, is that because of its design, it’s capable of passive, inherent safety that makes a meltdown physically impossible. Let’s just skip directly to the worst-case scenario, like in Japan, where failure of the coolant system caused the reactor to overheat uncontrollably. In terms of what would happen to a pebble bed reactor, this means that there’d no more helium coolant. So, okay, as you might expect, the reactor would start to get really, really hot. As nuclear fuel heats up, the uranium atoms start to move faster, making it harder for them to absorb extra neutrons and split, reducing the reactor’s power. This is what’s called negative feedback, and while it takes place in all reactors, the low fuel density of the pebbles magnifies it in a PBR. As the PBR continues to heat up, the negative feedback gets stronger and stronger until at about 1600 degrees Celsius, the core stabilizes at an “idle” temperature. This temperature is a solid 400 degrees short of what it would take to cause any damage to the fuel spheres or reactor vessel, which are made of a special kind of super strong graphite. The upshot of all this is that a pebble bed reactor can have the entirety of its supporting infrastructure power down, blow up, get flooded, get stolen, run out of gas, or otherwise fail, all while the entire staff is on vacation, and the only thing that happens is that the PBR will warm up to its idle temperature and… Stay warm. No meltdowns, no explosions, no radiation leaks. The reactor will just sit there and radiate the heat it produces until you cool it back down or take the fuel out. This scenario was tried once, in a prototype PBR in Germany: they shut off the coolant and removed the control rods and watched, and nothing bad happened. A later inspection of the reactor and fuel pebbles showed no damage. Of course, it’s important to understand that PBRs aren’t completely safe, and come with their own risks, including the potential for radioactive dust from pebbles rubbing against each other in the core and the difficulty of managing the circulation of the pebbles themselves. And PBRs still produce radiation, which is always dangerous, along with waste materials, although it’s worth mentioning that the waste is already contained inside the pebbles, rendering it much safer, and it’s so hard to get outof the pebbles that it’s useless as a weapon. But the point is that PBRs seem to be safe in a lot of ways that conventional nuclear reactors definitely aren’t. The first PBR was built in Germany in the mid 60s. As an experimental reactor, it had some design issues, but even so, people working there only received about 1/5 as much radiation as they would if they were working at conventional plant. A follow-up was constructed, but it had some additional design issues and a few minor incidents (mostly related to human error) led to its closure in 1989. It’s definitely true that pebble bed reactors are, at this stage of their development, less familiar to the power industry than more conventional designs. They’re also more expensive to construct while having only about 1/30 the power density of other reactors. But China, at least, is optimistic about their potential, and already has one test PBR and is planning on building thirty more in the next ten years, and possibly hundreds more by 2050. Part of the reason that China likes PBRs (besides their safety) is that their high operating temperature can be used to efficiently crack steam into hydrogen, which can be piped off and used as an alternative fuel. Really, the worst part of the disaster in Japan, as far as the industry goes, is that it’s going to make it that much harder to convince the public that nuclear power can be safe, clean, and efficient. To put it in perspective, in 2008 Next Big Future calculated how many people are killed per terawatt-hour of electricity generated. On average, there are 161 fatalities related to energy generation from coal for each one of those terawatt-hours, which comprise a quarter of the energy we use on Earth. 36 people die per TWh of oil energy, which is 40% of our energy use. Nuclear power has a deaths per TWh rate of only 0.04 while producing 6% of our energy, which makes it about ten times safer than solar power once you take into account how many people fall off roofs while installing it, and twice as safe as hydro power. It’s certainly true that nuclear power comes with its own host of issues, from reactor safety all the way down the line to spent fuel storage. It’s also true that nuclear accidents are terrible, frightening things. But the fact is that nuclear power is a viable, and even a necessary, alternative to fossil fuels, especially as we start thinking about exploring and colonizing other planets. When we go to Mars for the first time, we’re not going to be relying on solar power. We’re going to have compact, safe, and clean nuclear power along with us, because that’s what makes sense. And it’s not just the future: by embracing new technology, we can have the safe and clean nuclear power of tomorrow, today. There’s lots more info on pebble bed reactors from Wikipedia, and you can check your facts at MIT. There’s also a detailed discussion of modern PBR safety in a 2009 Nuclear Engineering International article, with links to some PBR criticism as well, and a story on the Chinese PBR from Wired. No goofy active shutter glasses, no headache-inducing parallax barrier screens, no optical trickery here. This is a pure 3D display — unfortunately done at a resolution of just 8 x 8 x 8. 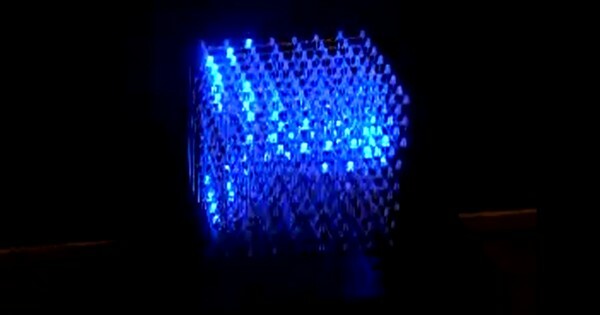 It’s a hand-built LED cube created by Nick Schulze, powered by Arduino, and driven largely by Matlab. Yes, Matlab, an application you probably deleted less than three minutes after signing off on your calculus final. We can’t help you find that installation disc again, but we can encourage you to enjoy the video of this 3D matrix of blinkenlights after the break, and you can get the full details on how to build your own at the other end of that source link. There are 18 variations of the Apple iPad; black or white, 16GB/32GB/64GB, Verizon 3G, and AT&T 3G. Thus, it isn’t easy to make a choice, unless you end up like me and have no choices left. It has now been over a week and I love using my iPad 2 with integrated 3G service and am happy that is what I was led to purchase. I have been traveling a lot to Alaska for work and get 3G data even up in Ketchikan where I was able to watch March Madness live. Battery life: Using the mobile hotspot on your phone is convenient, but 3G and 4G kill the battery on phones faster than just about anything while the iPad models can go 10 hours. If you actually ever want to use your phone to make and receive calls or text messages, you won’t have much luck if you kill it through tethering. To support the devices you carry for WiFi hotspot functionality you will also have to carry a means to charge up your phone and maybe your iPad if you use them paired together extensively. Integrated saves time: Today’s smartphone WiFi hotspot utilities are much better than the ones I started out using a couple years ago, but it still takes several steps to launch the hotspot and get connected with your iPad while integrated 3G is just always there and good to go. Also, it can cost you money or be a pain to find other WiFi hotspots at hotels, airports, and such while integrated 3G is always there with you and ready to go. Integrated 3G could be cheaper: WiFi hotspot services on your smartphone can range from $15 for 5GB (T-Mobile), $20 for 2GB (ATT and Verizon), up to $29.99 unlimited from Sprint. 2GB of data on AT&T is $25 for the iPad while Verizon has a 1GB option for $20, 3GB for $35, 5GB for $50 or 10GB for $80. The monthly data cost differences between the integrated or WiFi hotspot options are fairly close so monthly price should not be much of a factor in your decision. It had to happen at some point, so why not now? After a startling — almost terrifying — year-long gap between Brando SATA HDD docks, the company is finally outing another. 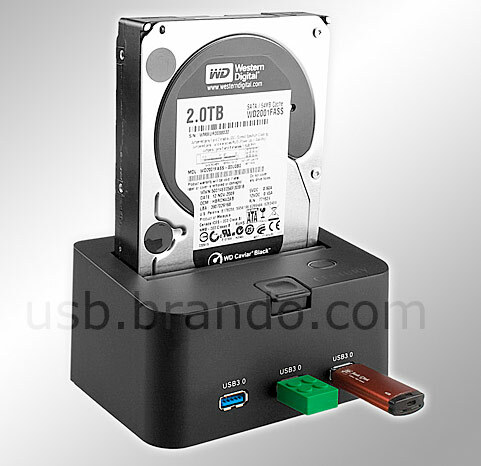 For those who’ve been camped out under the nearest boulder for the past few years, these external HDD docks allow users to plug any 2.5- or 3.5-inch SATA hard drive in, and then have said drive mount on the desktop of a connected computer. It’s pretty handy for those running diagnostic tests or looking to clone a drive without a dedicated machine, and now it’s taken the expected leap to USB 3.0 — a move that rival Sharkoon made back in 2009. You’ll also find a trifecta of SuperSpeed USB ports on the rear, though this gem will set you back a full $140 if you buy in today. Yikes. Does more engines equal more awesome? You bet it does. NASA’s latest concept for their satellite launching system is getting fleshed out with some extra sources of thrust. NASA wants to be able to do away with inefficient rockets and launch satellites into orbit using a scramjet spacecraft fired out of a railgun. A system like this is actually realistic in the near future, seeing as both high powered railguns and scramjet aircraft have been successfully tested. As NASA starts seriously considering how exactly the launching system would work, we’re getting more details about just what would be involved, and it looks like there are some thrust gaps that would need to be filled with more conventional technology. The initial launch is based on a railgun. The vehicle would be fired down a two mile long track using 180 megawatts of electricity, propelling it to Mach 1.5 in about 60 seconds. That’s a lot of acceleration, but not enough to turn a human into a pancake. Mach 1.5 (about 1,100 miles per hour) is fast, but not fast enough for a scramjet to function, so the vehicle would fire up a high speed turbojet just before it lifts off from the track to boost itself to Mach 4. At Mach 4, the turbojet shuts down and the scramjet kicks in, accelerating the vehicle to Mach 10 at 200,000 feet. At that altitude, there’s not enough atmosphere left for the air-breathing scramjet to work, so the final piece of the system is a regular old rocket. The scramjet/turbojet vehicle drops away, leaving an upper stage of sorts behind, which uses rockets mounted in its tail to make it the final distance into orbit as the lower stage re-engages its turbojet to fly back to base. After delivering its payload, the upper stage glides back like the space shuttle, and both stages can be ready to go again in 24 hours. So when is all this going to happen? Well, the technology is basically here, we just have to figure out how to scale it up. As NASA puts it, “we have all the ingredients, now we just have to figure out how to bake the cake.” It’ll be more than billion dollars or so worth of cake by the time it’s finished, but just imagine how tasty it’ll be when it’s all done.